The Council on Aging is delighted to have been able to create the Celebrating Seniors award for 2018. In keeping with the Council’s vision of “respected, informed and engaged seniors living in an age-friendly city”, this award provides an opportunity to recognize the significant contributions that seniors make in our community each and every day. Our communities and the people living in them are better off as a result of their generous gifts of time and talent. Awards were given to seniors nominated for outstanding contributions made in the areas of leadership, social connectivity, advocacy, community and grassroots engagement. Thank you to our sponsors and funder without whose support this award would not have been possible. Iman Abdien is a most amazing volunteer. Iman lost her husband a couple of years ago and the grief was overwhelming. She was very unhappy, isolating herself, and still wearing black over a year afterwards. Friends encouraged her to come to South-East Ottawa Community Health Centre with them. Initially, she was closed off and enveloped in sadness. A year later, she is bright, open and cheerful. Iman co-leads an English Conversation Group twice a week. She is heavily involved in the Arabic Health Coalition, bringing health promotion, education and engagement to this community. She does administrative duties and translation, is a member of the advisory group, and acted as a Cultural Ambassador for the Diabetes and Ramadan training for Health Care Providers. Gloria Baril has been President of the choir “Les jeunes de cœur” since September 2015. It is a choir formed entirely of seniors, members of the Centre Séraphin-Marion MIFO. She coordinates and organizes everything: concerts, costumes, music, performances, advertising, recreational activities and, of course, singers, some of whom are getting older and sometimes forget. Gloria is dedicated and always in a good mood. In addition, Gloria is part of the liturgy committee of the Chapelle Saint-Claude in Orléans and finds time to help families in need. Among other things, Gloria has taken on helping a refugee family. Her devotion even went so far as to take home the mother’s three children while she was recovering from serious burns. parishioners which she feels is her most important role. On a monthly basis, Karen brings fellowship and spiritual support to each of a number of parishioners. Karen, in her own way is a pastoral visitor, bringing our church community into the homes of these isolated members. Karen has a special gift for connecting with seniors which is seen in her dedicated service to them. Noël Beaudoin is wholeheartedly devoted to his community’s seniors. For more than 15 years, he has been caring for a lady, now 87, who lives with her 67-year-old disabled brother. He does their grocery shopping, sees to the maintenance of the car, and helps out with running errands and with small repairs around the house. He accompanies the lady to her medical appointments. Until recently, he was also caring for another lady with multiple sclerosis, taking her to her weekly therapy sessions. Mr. Beaudoin is known for his service and dedication and his work is always accomplished with enthusiasm and a contagious smile. 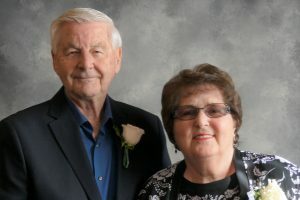 Barb and Eldon Buck have been volunteering at Bridlewood Trails Retirement Community for seven years. They have provided more than 2000 hours to those on the memory care floor. They help to run spiritual, physical, emotional, social and cognitive programs to improve the resident’s quality of life. They have the exact skills necessary to work with those living with dementia. While working with seniors with dementia can be unpredictable and difficult, Barb and Eldon are consistent, reliable, happy, patient and mature. They encourage residents to join in programs and consistently make them feel loved and cared for. They have shared their love for seniors in the community and are changing lives one activity at a time. Yvon has been at the Champlain Long Term Care Residence since 1977. He is a good friend to all and is always ready to “chit chat”! With his sense of humor and unique personality, he meets the needs of seniors at all levels: psychological, physical, emotional, spiritual, intellectual and social. He accompanies residents to their medical appointments and tends to them day and night in palliative care. Following a death, he attends the funeral to say a last farewell. With his wife Carmen, he is responsible for Café Chez-nous serving the Champlain Long Term Care Residence community. In the spring of his 70th year, Yvon does not seem to be slowing down, to the contrary, he is still moving at full speed! 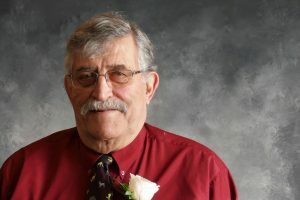 Marcel has volunteered in his Orleans community throughout his career. 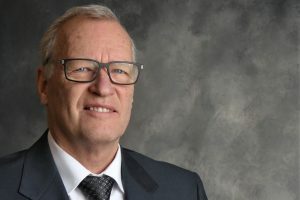 Several organizations such as the Orleans Recreation Complex, La Caisse populaire, the MIFO and the Orléans Chamber of Commerce benefited from his expertise and dedication. Following his retirement in 2005, Marcel joins the Board of Directors of Rendez-vous des aînés francophones of Ottawa (RAFO), where he develops a business plan to ensure the organization’s profitability and financial stability, serves as President from 2007 to 2011 and where he continues as treasurer to this day. The success of this organization is largely due to Marcel’s varied contributions and leadership. George is a founding member of the Ottawa Seniors Pride Network (OSPN). His tireless commitment to LGBT senior’s services is well known in the community. As chair of the OSPN Housing Committee, George initiated, directed, and completed a Housing Survey of the senior LGBT community which identified needs and issues to be addressed. As co-chair of the Social Spaces Committee, he takes an active role in the creation of social activities for members. He contributes 30 to 40 hours a month for OSPN and even more hours on other work in the senior community. George also does home visiting, provides transportation, and helps in critical times for seniors, and reaches out to the recently widowed. His kind and gentle manner makes people feel safe and supported. Jeanne d’Arc has volunteered at the South-East Ottawa Community Health Centre since 2013. She leads a weekly Nordic Pole Walking class which promotes essential health and social habits. She also teaches Vie Active, a sitting and standing exercise program, on a weekly basis. She is a very caring and upbeat instructor who connects wonderfully with her clients. Jeanne d’Arc directly impacts seniors in the community by giving them motive to leave the house, encouraging appropriate regular exercise and providing a welcoming social environment to reduce loneliness and isolation. 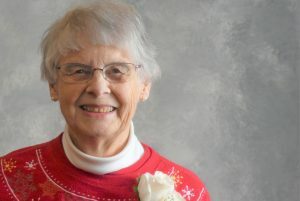 She also volunteers significantly with Retirees in Motion and can often be heard encouraging people to get involved in activities in their community. Chloe has been in Canada for more than 12 years. She has been very active in helping other seniors who are newcomers to Ottawa. She even reaches out to seniors in other provinces. She helps them to find services and opportunities to socialize with other seniors. She is known as a senior services provider in her community. Many newcomer seniors here in Ottawa have joined her for swimming classes, senior events, church activities, and educating young people to be a good citizen. Additionally, she reaches out to mentor young immigrants. If anyone needs her help, she is there right away. If anyone is sick or in the hospital she cooks for them and visits using ParaTranspo. 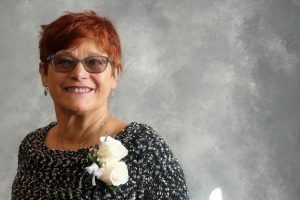 For over 25 years, Daphne has dedicated her heart, energy, and countless hours as Board Treasurer for the Ottawa Independent Living Resource Centre. Over the past few years she also took on the role of Executive Director for an extended time to keep the Centre running smoothly. Even at 80, nothing seems to have slowed her hard work and complete devotion. She still drives many of her friends for appointments and errands. She helps many during the tax seasons as she is a meticulous keeper of numbers! 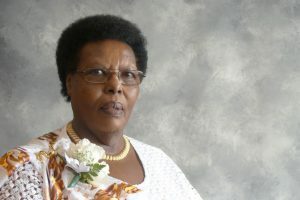 As an extremely involved member of Dominions Chalmers United Church, Daphne helped found the Ottawa New Horizons Band. This outreach program helps adults learn or re-learn a musical instrument in a fun, social environment. For over 10 years she has contributed greatly to the program. Jeannine Rousseau is one of those volunteers who commits to an endeavor 100 per cent. Upon her retirement in 2007, she enrolled at the Séraphin-Marion Center. She sat on the Board of Directors for six years, the maximum allowed. She devoted herself to the reception. She is part of the choir “Les jeunes de Cœur” and sits on the organizing committee. For more than five years, she also took on the responsibility of volunteer coordinator for the organization. Jeannine has also been a diligent volunteer at the Montfort Hospital for over 12 years now. Jeannine Rousseau, a woman of heart, a committed model of dedication and mutual help especially with seniors. 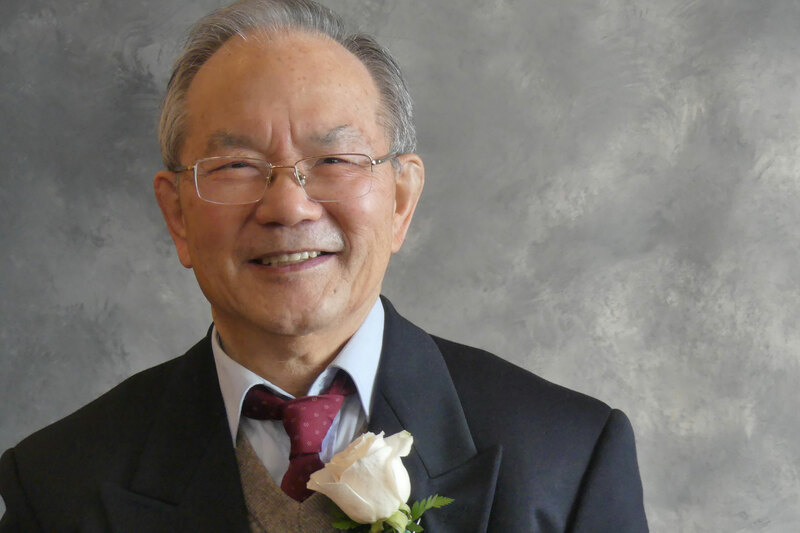 As a newcomer to Canada after retirement, Hai Bao faced loneliness and so volunteered at the Beaverbrook Library. In 2011, he helped establish the Kanata Chinese Seniors Support Centre for newcomer Chinese seniors. 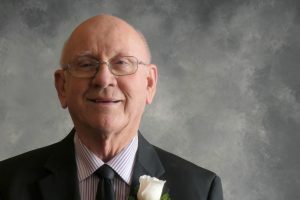 Now as Chair, he is involved in every aspect of its many activities including food cupboard drives, performances in seniors centres, a community garden, workshops and celebrations. Hai Bao ensures that fellow seniors have support when needed. His own settlement experience has helped seniors to overcome their loneliness and integrate more easily into daily life in Kanata North. At 83, Mr. Sun is truly an inspiration for Chinese newcomers and seniors in our community. A unique community leader, Marianne Wilkinson has energetically contributed her skills, knowledge, creativity and countless hours to the City of Ottawa throughout her life. Even as a busy elected official, Marianne continues to volunteer. She spearheaded initiatives to inspire women to become involved in local politics. She organized a Kanata discussion forum for seniors, helped to establish the Kanata Chinese Seniors Support Centre and annually hosts Expo 55+. Marianne formed and is Chair of Kanata North’s Recreation Complex Board to advise on the design and programming of the Centre and raised $1M for additional facilities. In 2017 she brought together area cultural groups for a Cultural Festival. Retiring this year, who knows what the future will hold! 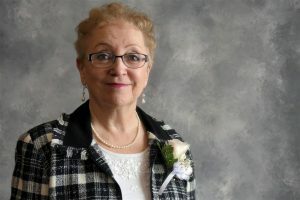 Following her retirement in 2011, and after caring for her mother until her death from Alzheimer’s, Marjolaine quickly became involved in a multitude of tasks and was also part of three different committees at the Séraphin-Marion Centre. Tai Chi is also a big part of her life. She takes classes but also volunteers to organize Tai Chi group practices. In addition, she regularly takes care of two senior ladies in the community including accompanying them to their medical appointments. Ms. Adam is also involved in her church community (Ste-Marie). Marjolaine is known for her smile as well as her ability to find a positive word for all she interacts with each day. James Bear is a grassroots volunteer who understands and appreciates the value of seniors in our community. He has volunteered more than 10,000 hours with Western Ottawa Community Resource Centre since 2004. He volunteers five days a week in the Meals on Wheels and Transportation Programs, delivering meals and transporting seniors to appointments in the community. He is a quiet man with a kind smile and a warm sense of humour. As a member of the First Nations community, he says it is his teaching and tradition to honour and respect elders. Clients speak of his reliability, kindness, soft-spoken nature, sense of caring, encouragement, patience, sincere interest in others, and willingness to go the extra mile. The seniors he serves say he makes their days brighter! Sanjogta received her formal education in India. For over 30 years her leadership skills have enabled her to serve as either President, Vice-President or other important roles on the Board of Directors. Since its inception in 2005, Sanjogta has served on the executive committee in various positions for the Sikh Community Services Ottawa. She is quick to help whether in the community kitchen or planning renovations in the Skih temple Ottawa. She was honored recently by MPP. Chandra Arya for her prolonged and outstanding volunteer work in her community. Sanjogta’s sense of humor and ability to work well with others makes her a great asset to the community. Barbara Carrera has volunteered at the South-East Ottawa Community Health Centre since 2013. She teaches the Vie Active Exercise Program, a seated and standing fitness class, twice a week. With her positive energy, humour and words of encouragement, her classes have become as much about connecting with others and building a sense of community as they are about exercise. She notifies staff of any changes in behavior or attendance so that seniors are regularly checked on and do not fall between the cracks. Outside of the Centre, she also keeps a close eye on some of her more vulnerable neighbors and has transformed an unattractive space in her community into a beautiful community garden with sitting space for all to enjoy. Beverly volunteers full-time in the recreation department at Beacon Heights Retirement Residence. She offers invaluable help for large-scale activities, and she independently leads her own activities for groups of residents on the care floor living with advanced dementia. All of the residents love her for her sunny disposition, witty sense of humour, and caring, compassionate nature. Beverly goes above and beyond in so many ways; independently caring for the pet therapist bunny and painting personalized artwork for residents are a few examples. Beverly treats residents living with advanced dementia with the utmost respect, dignity and affection, acting as an age-friendly example for everyone. Marjorie helped expand her church’s bereavement program to a larger community. She introduced the Red Hat Movement to Orleans, supporting women in a fun environment. Recently she helped a fellow member with physical limitations achieve a life-long dream of international travel. Marjorie has won a volunteer of the year award at the Shenkman Arts Centre. Even a fractured hip at 80 didn’t stop her – she returned to her weekly duties after just 6 months. Still active in the Christian Woman’s Club, senior’s book club, and knitting group, Marjorie supports those who have lost partners through her husband’s Military Mess. She is a shining example of aging gracefully with purpose! John Jerome is a resident at Alta Vista Retirement Community. He spends much of his time enriching the lives of his fellow residents. He leads the Resident’s Association which ensures that everyone has their concerns and recommendations voiced. He also leads the weekly Discussion Group providing guest speakers to stimulate the group and has gone to other communities to guide staff on the importance of such groups. In the Resident Ambassador Program, John helps to welcome and integrate new residents into their new home. John also volunteers at the National Art Gallery and visits residents in hospital or hospice. He is a positive, compassionate person who makes anyone feel instantly better after a quick conversation. 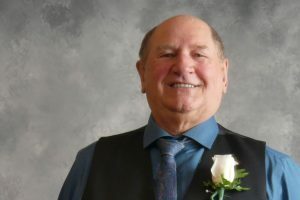 Alton Legault is an active and dedicated volunteer, devoted to his community. Since his retirement in 2000, his involvement in the community speaks of his leadership and business sense. A philosopher and theater enthusiast, he is a person who is just as involved in the development of the organization and committees as he is in the daily activities of the many organizations of which he was/is part of Résidence Saint-Louis, Centre Séraphin-Marion du MIFO, le Conseil sur le vieillissement et le Community Information Center of Ottawa). Alton’s accomplishments include the recent publication of a book by an Orleans senior, weekly news discussions, his participation in a book club, production of plays, visits to isolated members of the Résidence Saint-Louis and the Badminton Club initiative. Joan Olson has been volunteering on the South-East Ottawa Community Health Centre Grocery Bus Program every two weeks for over 16 years. This program provides transportation and grocery shopping support to seniors in the community. Joan helps the seniors on and off the bus, directs the bus driver, and assists seniors with their grocery shopping. Her natural ability to connect with people has been evident. Joan is compassionate, caring and energetic. She goes above and beyond to ensure that seniors on the bus feel welcome, and that they are having a good time. Thanks to people like Joan, the Grocery Bus is more than just a shopping trip, it is a vibrant social community group, providing an opportunity to connect with others. Agathe has been a committed volunteer at Centre Séraphin-Marion du MIFO for more than 10 years. She is involved in various event committees such as the monthly dinner and dance parties and the Christmas banquet. She is there to help from the preparation of the meals, to the cleaning. She even brings home the tablecloths to wash and iron them. On a more personal level, she now must assist her husband, who recently lost sight in one eye. She is therefore his constant and faithful companion for all activities. Her smile and humor are always at the rendezvous. She knows the whole community and always has a good word or a memory to share with everyone. Agathe is dynamic and welcoming with everyone she meets. An involved citizen, Wayne “walks the walk” – literally – with a daily tour from Hintonburg to Westboro reporting graffiti tags, unsafe pedestrian situations, and suspicious activity. 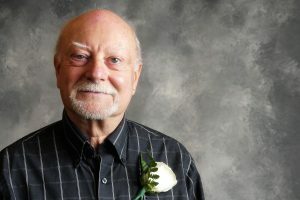 Often called the Mayor of Hintonburg for his community involvement, Wayne delights in connecting people to relevant services. He has coached minor hockey and organizes an annual hockey tournament with proceeds to Roger’s House. He worked on the Council on Aging’s Walkability Audit of Scott/Albert Streets. Wayne serves on the Hintonburg Community Association as a board member and co-chair of the Security Committee. He is the vice-chair of the board for the volunteer community newspaper, “Newswest”. Wayne is a true community builder. Helen Smith is a passionate advocate for meeting the needs of the most vulnerable and isolated, taking action and stirring others to action as well. Helen has provided over 2000 hours of visitation at the Ottawa Hospital. She has worked tirelessly in developing the Sandy Hill Seniors Network, often preparing the lunch and program herself, and organizing a weekly coffee gathering for local seniors to connect. She helps at the worship services at the New Edinburg Retirement Residence and organizes the pastoral care team at her church which focuses on ensuring that vulnerable seniors are visited and advocated for. She is active in the Right Relations Network and the Odawa drop-in and has played a key role for years on the COA Spirituality Committee. She is a person who gets the job done! Shelagh’s time these days is split between two passions–The Council on Aging of Ottawa and the Ottawa Branch of the National Association of Federal Retirees (NAFR). For the past four years, Shelagh represented the branch on the COA’s Health Issues Committee. This role included contributing to the COA’s Health Literacy Project. On behalf of NAFR as a member of its Branch Community Liaison Committee, Shelagh coordinates and co-facilitates the “Neighbours Helping Neighbours” workshops. The workshops, which focus on respite care for primary caregivers, are delivered to NAFR members as well as the broader seniors community in Ottawa and the Ottawa Valley. She also organizes the training of individuals (seniors and retirees) as facilitators to give the “Neighbours…” workshops in Eastern Ontario. Shelagh has demonstrated a positive role in encouraging seniors to work for the good of their communities. Karen is a vibrant member of the Parish of Fitzroy Harbour in Woodlawn. She coordinates the Anglican Church Women’s group organizing catering for the many church social events. Karen sings in the choir and is an active lay assistant during Sunday worship. However, it is her regular visiting of senior parishioners which she feels is her most important role. On a monthly basis, Karen brings fellowship and spiritual support to each of a number of parishioners. Karen, in her own way is a pastoral visitor, bringing our church community into the homes of these isolated members. Karen has a special gift for connecting with seniors which is seen in her dedicated service to them. Since retiring from the Department of National Defence and the Canadian Armed Forces in 2003, Élizabeth has been actively involved in her community. Having worked for 25 years with the Official Languages Act, she joined the ranks of the Fédération des aînés et retraités francophones de l’Ontario in 2006, where she quickly moved to the presidency. Today, as President of the Fédération des aînés et aînées francophones du Canada (FAAFC), she defends the interests of Francophone seniors across the country. Franco-Ontarian leader, community builder and woman of conviction, Elizabeth represents the country’s Francophone seniors with the conviction, strength of character and competence that have characterized her personal, professional and philanthropic journey. Since retiring in 1995, Denise has been very involved in the community. She is a member of several organizations and clubs of all kinds. She supports a large number of causes and is always interested in improving the lot of her fellow citizens. Some organizations working with seniors who have benefited from this commitment include the Montfort Hospital, the French Language Health Services Network, the Centre Séraphin-Marion in Orléans, and especially the Fédération des aînés et des retraités francophones de l’Ontario. She was recruited in 1998 and became President of the Ottawa Chapter in 2001, a position she held for six years. If the issues affecting living conditions for Francophone seniors in Ottawa and Ontario have seen remarkable progress over the last 20 years, it is in large part because of her enthusiasm and determination to resolve them. Harley started volunteering for the Gloucester Fair over 40 years ago to promote his Baskin-Robbins Ice Cream store. He was hooked! Today he donates thousands of hours annually to overseeing all aspects of this huge Ottawa community event. Additionally, he has led initiatives to include activities of interest to seniors in the Fair such as an annual bridge tournament and educational sessions. Harley has been a member of the Kiwanis Club of Orleans for over 30 years. Ten years ago, he was instrumental in the development of Skreamers at Proulx Farm. Today he also oversees this entire month-long event of sheer terror. Harley is committed on a large scale to his community and is showing no signs of slowing down! Ana Maria works in the Latin American community with refugees from war-ravaged Central American countries. She has served as the volunteer Executive Director of the Club Casa de los Abuelos since 2009. She has made it her mission to maintain services for seniors here by securing funding and forging community relationships. She understands the needs of the immigrant senior population first hand, witnessing the existing gaps in service delivery. She has become a social activist and advocate on behalf of seniors who can’t communicate properly in either official language. She provides rides for seniors and helps them navigate the system, be it a hospital appointment, application for housing, immigration question, social activity, or finding an ESL class. Lamis began volunteering with South-East Ottawa Community Health Centre 10 years ago as support in our Health Clinic. 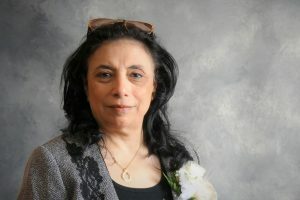 Lamis, who speaks three languages and is very personable, has found an excellent fit in the Arabic Women’s Group where she calls clients about their weekly participation. As she develops relationships with them, these calls have become an outreach reducing social isolation. Lamis is a great resource to the Arabic women providing advice or linking them to other services at the Centre or in the community. What a perfect example of how community centres are built to work! Lamis makes a truly positive impact on her community! A retired nurse, Francine has been involved with the COA on various occasions. She was delegated to the Francophone Affairs Committee by Retirement in Action and served for three years. She was involved in the Elder Abuse Committee. At Retirement in Action, she hosted and coached writing workshops titled “J’écris ma vie”. She recently founded her own association “Patrimoine familiale”, which aims to make families aware of the preservation of documents that showcase their life paths. It is an initiative that certainly has great value for the history of French Ontario. Wherever she serves, Francine stands out for her enthusiasm, creativity and generosity. Daniel has volunteered at the South-East Ottawa Community Health Centre since 2001 as both a friendly visitor and a volunteer driver. He makes weekly house calls and plans special outing for the seniors he is matched with. He often goes above and beyond what is expected of the role. He is punctual, engaging and caring. He will often bring a tablet and show seniors the house that they grew up in on Google street view. He helped one 90-year-old gentleman scan his old photographs so they could be preserved on disc. He additionally created a slide show to music as a Christmas surprise. He has a way of making clients feel special and valued. Daniel always goes the extra mile and is patient and thoughtful beyond measure. Adele is a true community advocate representing rural seniors in Ottawa. She sits on a variety of committees including the Champlain LHIN Arnprior Ottawa West Patient Engagement Committee. Adele is well known in her community and connects others to available resources. She is a volunteer with the Ottawa Seniors Transportation Committee with the Council on Aging of Ottawa and Chair of the Rural Drivers Sub-Committee. Adele is a farmer in Dunrobin and a retired teacher. She was also a caregiver to her mother. Her commitment and interest to stay informed and be engaged as part of her community is well deserving of recognition. Cécile is a retired teacher. She was a member of the COA Francophone Affairs Committee from 2010 to 2017. She has made outstanding contributions to this committee by, among other things, getting involved in the preparation of some of the activities, including the 2015 Annual Forum on Spirituality and International Women’s Day in 2014. Her many contacts in education and religious issues have been of great benefit. She is particularly concerned about French-language services in crisis situations and works to ensure that the Francophone community gets the help needed. She is currently the regional President of the Fédération des ainés et retraités francophones, Ottawa Branch. For more than two years now, Monique has been regularly visiting one of the residents of Bruyère. This man is the widower of one of her friends and has been diagnosed with Huntington’s. It is often difficult to work with this person because of the state of his health. Twice a week, she visits him, spends time with him, wheels him to different rooms, helps him to eat, and takes care of many other small needs. Between visits, she runs various errands for him. Monique is always smiling with him and shows him the utmost patience and total respect without ever waiting for any form of recognition whatsoever. All those around her appreciate her dedication and good sense of humor. Elspeth has provided outstanding leadership contributions to the Fetal Alcohol Spectrum Disorder (FASD) community in Ottawa. Almost 20 years ago, Elspeth founded the FASD Group of Ottawa, a support and education group, and she has facilitated all of the monthly meetings since. She sits on the FASD Coalition of Ottawa, a collection of stakeholders who gather to improve FASD Advocacy and prevention. 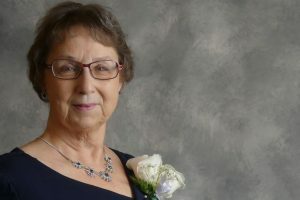 More recently Elspeth created the FASD Enrichment Fund, which grants individuals with FASD up to $350 a year to engage in an activity that will enhance their life such as sports participation or music lessons. She also sits on the Advisory Committee of Citizen Advocacy Ottawa’s Fetal Alcohol Resource Program. Anil has volunteered significantly for 13 years through the Indo Canadian Community Centre (ICCC). He is currently Chair of the senior’s program committee and plays a key role in providing a venue to combat social isolation and provide safety and networking opportunities with peers. 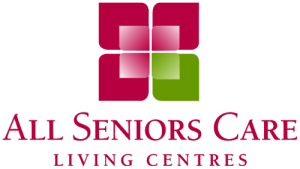 This happens through weekly meetings, get-togethers, day trips, picnics and entertainment evenings exclusively for seniors. They arrange workshops for seniors on topics like physical and financial safety. He is also a member of the Social Planning Council’s Ethno-Cultural Committee, a member of Durga Mandir, has advocated for seniors needs and liaised with federal and provincial governments for senior’s grants. When Juanita Vetter moved to Navan 10 years ago, she quickly recognized an unmet need for the area’s seniors to have a place to go to, to socialize, and have fun. The Navan Nifty-Fifty seniors group was created out of this need. The group meets every Wednesday afternoon, from September to June. Well over 60 seniors attend the club, some walking or arriving by tractor, giving them an opportunity that they would not otherwise have to socialize in their community listening to talks, playing games, meeting school children and sharing food. Those attending have noted the isolation that rural life can bring, particularly in winter months. Juanita’s energy and caring for seniors brings people out each week.